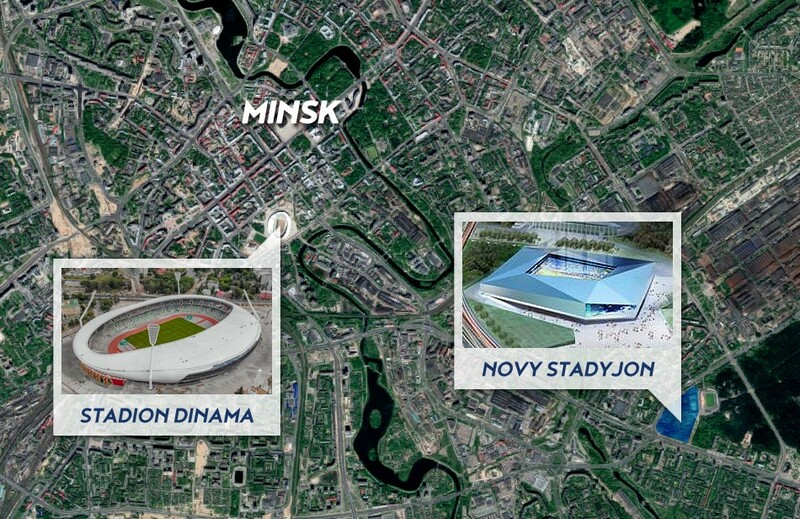 On Thursday the rebuilt Dynamo stadium hosted its first major football game. In Europa League qualifier Dynamo Minsk surprisingly smashed the favourite Zenit St. Petersburg 4:0, witnessed by a sell-out crowd of 21,750 people. While the atmosphere was good, the new stadium received noticeable criticism over its poor sightlines, specifically in front rows of the lower (players hidden behind advertising boards) and upper tiers (fence obstructing view). With the running track around, the stadium also makes it hard to synchronise chants. Further issues include the Olympic flame severely obstructing view to people near it, while gutters were placed in ways that make rainwater pour onto staircases and disabled fans. With these flaws in mind many supporters may have been relieved to hear on Friday that president Alexander Lukashenka announced the construction of a second stadium, this time only for football. It's not the first time, the project has been on the table for a few years now, however finally it seems things will move forward. 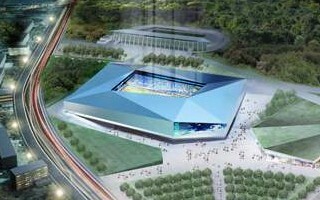 As previously announced, the building will rise next to the existing Stadion Traktor, beside Vanyeyeva Avenue. Also as expected, it will be built by a Chinese company, who are also expected to take part in the design process. What's a completely new fact is the final expected capacity. While previously suggested to be 33,000, it's now confirmed by Lukashenka to be a 40,000-seat stadium.